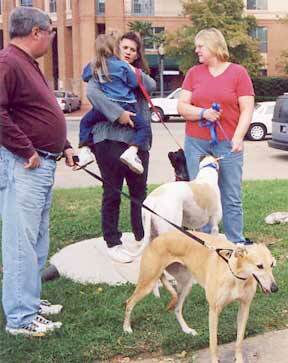 On Saturday, November 10, Greyhound Adoption League of Texas, Inc. and Paws Around Town hosted "Paws for Posterity." 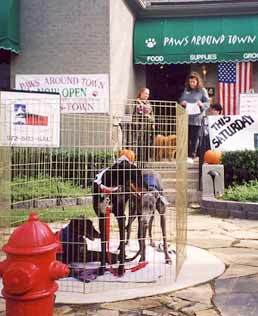 This event featured Paint Yer Potterys clay paw prints of your dog, shopping for toys, wearing apparel, feeding dishes, mats, beds, cards, treats, and other canine goodies. 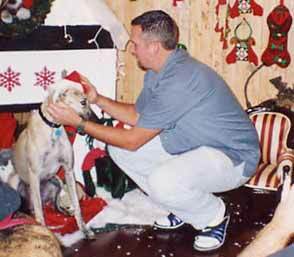 In addition, Photographer Randy Bookout took Christmas photographs of dogs and their people. 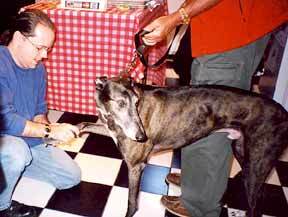 Dr. Ed Silverman and staff of the Uptown Veterinary Hospital and Canine Clubhouse provided demonstrations and recommendations on brushing dogs teeth, and answered other vet questions. 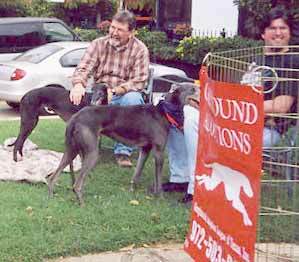 And of course, GALT had greyhounds to meet and information about adoption, as well as T-shirts, sweatshirts, calendars and other items for sale. Check out these picture below to see some of the fun we had!